Best friends Titus, Reese and Candice are starting sophomore year at high school, Titus playing for Varsity football team, with Reese and Candice as Cheer leaders. All three are inseparable, until things start to change. Candice starts to pull away from her friends, spending more time with her boyfriend Alex. Reese and Titus know that something is wrong and want to help their friend, but she insists she’s fine and not to worry. Reese has her own troubles to contend with as well as worrying for her friend, and she doesn’t cope well with things. Luckily she has Titus to help her through and he never leaves her side. Titus has feelings for Reese, he wants to be more than just her friend. This cause’s problems for Reese with her boyfriend Josh, he knows how Titus feels and isn’t happy with him spending so much time with her. Their Friendship is put to the test this year, can it survive. This is a very emotional story and I even cried several times while reading this book. It shows that along with all the fun you have at school there can also be dangers. I really felt for the three friends. I wanted to wrap Reese up and hug her and Titus was so strong and supportive for someone so young. They are went through so much. I really enjoyed reading Falling Behind, it is very well written and I would definitely recommend it. 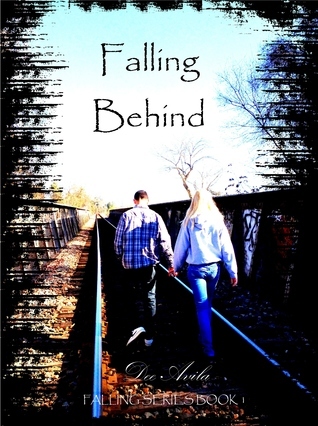 Sign into Goodreads to see if any of your friends have read Falling Behind.